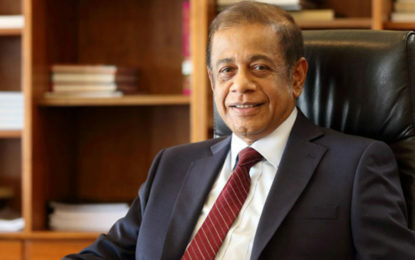 Hemasiri Fernando resigns as Defence Sec. High over the Pacific Ocean on Tuesday, the casing blew off one of the engines on United Airlines Flight 1175. Passengers heard a loud bang and felt the plane shake violently. Those seated on the right side looked out their windows and saw pieces of metal flying. 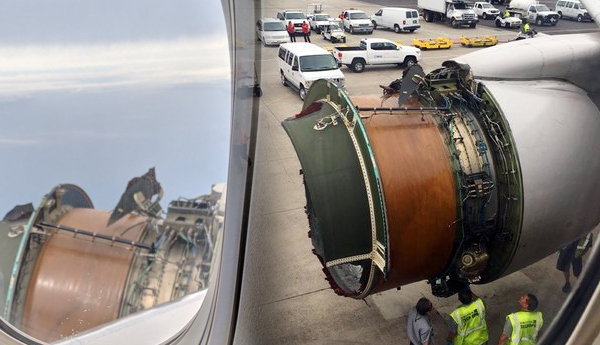 By the time the plane touched down safely in Honolulu around 40 minutes later, the engine was bare, its innards on full display. It was not clear as of Tuesday evening what had caused the malfunction. Ian Gregor, a spokesman for the Federal Aviation Administration, said the agency was investigating. Haley Ebert, who was in a window seat above the right wing, said she had raised her window shade after hearing a “huge bang” that she likened to a gunshot. As the plane neared the runway, the flight attendants told passengers to brace for impact, hands against the seat in front of them. Some people began sobbing, Mr. Nielson said. Around 12:40 p.m. local time, the plane touched down — surprisingly smoothly, Ms. Ebert said, and to a round of applause from passengers who had been screaming a few minutes before. Several went on to tweet photos and videos of the damage. “Scariest flight of my life,” one wrote. Similar malfunctions have happened before. In 2016, an American Airlines flight from Phoenix to San Francisco turned back after part of the engine cowling fell off. A JetBlue flight from Newark to Fort Lauderdale, Fla., did the same in 2010. And an Air France flight had to make an emergency landing in northern Canada last year after one of its engines exploded in midair.